Is there a bottom-line business benefit to intercultural competence? As someone who has lived and breathed cross-cultural and intercultural business competency for well over thirty years, that question tends to elicit a chuckle in me. And today, the person on the phone who asked me that question reminded me of a story. 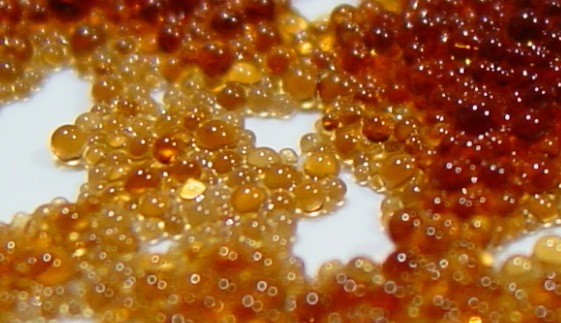 We worked for a multinational business that globally sourced ion exchange resins. IERs are small beads used to separate, purify or decontaminate; they are used to make ultra-pure water, for example. Don’t worry about the technicalities; this story focuses on how the people worked together. In this case, the IERs were produced in southern France, at a facility that was one of the absolute best in the world. My client imported the IERs to Japan, selling them primarily to the semiconductor manufacturing industry. The Japanese customers had extremely high quality standards, and the French-produced IERs consistently met all the customer’s requirements. The product was well within spec. But, the Japanese customers were worried: occasionally the IERs they received from France would vary slightly in color. One shipment might arrive quite clear, the next shipment more yellow or orange. Always the specifications were met. The IERs functioned to their purpose. But the color varied. A classic cultural gap: a focus on result vs. a focus on process. Does the product perform as required? Or do we look at continuous improvement of the production process itself? In this case, the argument could quickly produce a stalemate, with both supplier and customer insisting their view is “correct.” The French could insist that their IERs are the best the customer will find. As long as the customer doesn’t find an equivalent product, that could be ok. But, it’s not a very good answer on a global stage, where there always seems to be another supplier waiting in the wings, with cheaper cost, easier shipping, or more commitment to listening to the customer. Possible results of the vendor insisting that color doesn’t matter? Not to mention the human aggravation. Possible results of the customer insisting color variation matters? Major time and financial commitment to establishing a relationship and educating a new vendor regarding customer needs, in hopes that the new relationship might become a strategic partnership. I have seen this push-pull occur so often in my career. It frustrates those involved, it causes aggravation, it wastes time, and it wastes money. Take a moment to put some money to the points above, to calculate the “bottom-line impact” of such a simple cross-communication. In this industry, it is easily in the millions of dollars. And why? Due to pride, to arrogance, but mostly due to ignorance: not really understanding cultural differences and how to navigate them effectively. And what might an interculturally competent solution look like? We know it involves multi-directional bridging, and systemic as well as interpersonal solutions. And, usually, such interculturally competent solutions are win-wins for both customer and supplier. Could help ensure it remains best-in class. The customer will refer more customers to the vendor, due to the strong relationship with and excellent quality of the vendor, and the vendor’s global markets will grow. Improve the customer’s reputation in the global marketplace, as one of collaboration and loyalty. Thus, the French and Japanese could work together to manufacture more color-consistent IERs, grow their global markets, strengthen their partnership, improve their employees’ skills, and polish their reputations in the marketplace. Win-win-win. In real life, what actually happened was somewhere in between. These people were smart enough to hire a full-time intercultural consultant, after all, which I believe is one demonstration of their commitment to success. They got advice, and they did their best to put it to good use. They realized that intercultural competence is a lifelong process, contextually based, and strived to always do a bit better. It’s one of the reasons I want to travel halfway around the world to go to that OB-OL-kai! What do you think? I would love you to share with us why you believe intercultural competence is helpful? Do you have a Cultural Defective or Cultural Effective case to share?